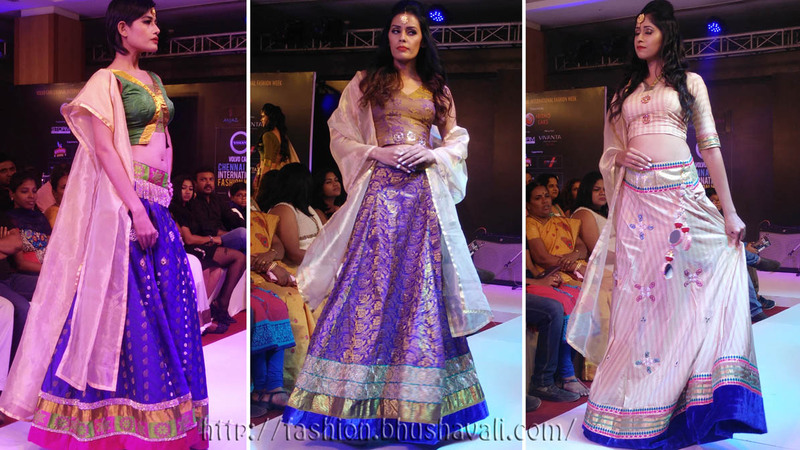 Chennai International Fashion Week continues with Nazia Syed and Sangeetha. 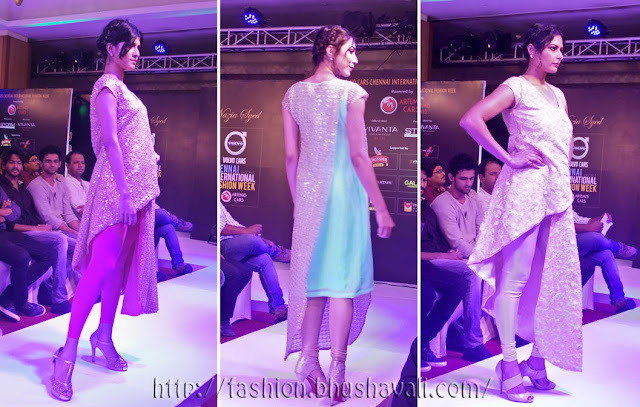 Nazia's collections started off with some elegant sarees and moved over to some interesting draped outfits and asymmetric cut outfits in the lines to salwar kammez, followed by some anarkalis. The entire collection was soft hued in pastel pinks, blues and greens. Some blouses were pretty interesting with pearls. 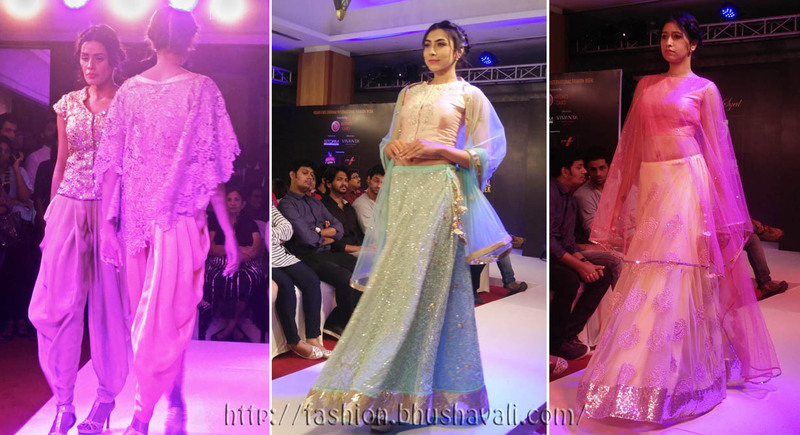 The show stopper was actress Sanchita Shetty who wore a beige anarkali gown made of a sequinned fabric with a pink dupatta. Sangeetha's collection began with sarees in animal prints worn in innovative drapes followed by lehengas with embroidery on them. She had 2 showstoppers - actresses Misha and Iniya. 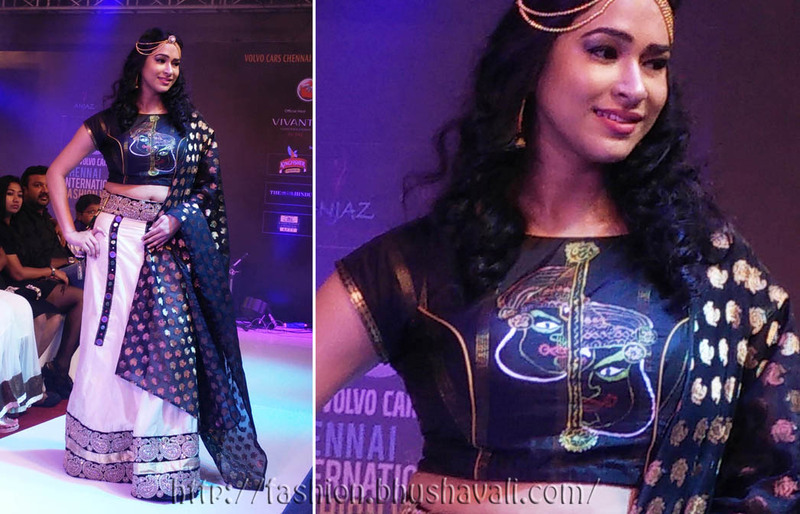 The highlight of Misha's outfit was the handpainted Kathakali face on the blouse. Iniya's outfit was a showstopper in all senses with a black skirt with gold embroidery and gold blouse and mirrors filled dupatta, complete with golden accessories!!! That's all about CIFW.. Oh no, no, there's one more - my outfits, my OOTD's on the CIFW days. Wait n watch!! !